Many people have been told the economy has taken a slide in the EU. The EU has many members Germany is by far the most obvious. Greece is one example which has been compared to other countries in the euro zone that could be feeling the future pinch. Most of the world is expecting more cutbacks. Some of us are looking further afield for answers. 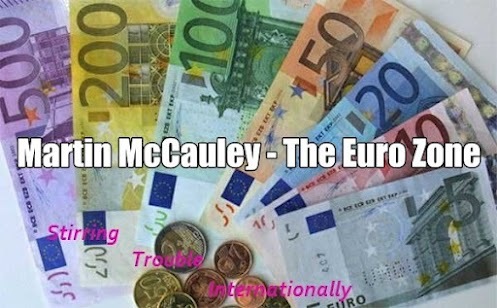 Todays post looks at why the Euro is one of the stronger currencies and how here in Britain the euro is supported with various observations about what is available through news. The Eurozone has been around longer than you might think and there economy has been going strong for longer than you might think, so to clear things up a bit go over to Stirring Trouble Internationally. Lighten the load EU economy load of your feet by studying Stirring Trouble Internationally. The euro might just be you chance of freedom today. Stirring Trouble Internationally is available on the mobile phone, as a magazine format thanks to Google currents and is very active on Social Media. If you are social media to you can find out a little bit more about things on Google+, Facebook, Empire Avenue and Twitter. If you have a mobile phone then go over to Google Play and download the App provided. Social media is a good source of information for finding out the truth about the EU euro, the Euro zone and the economy.